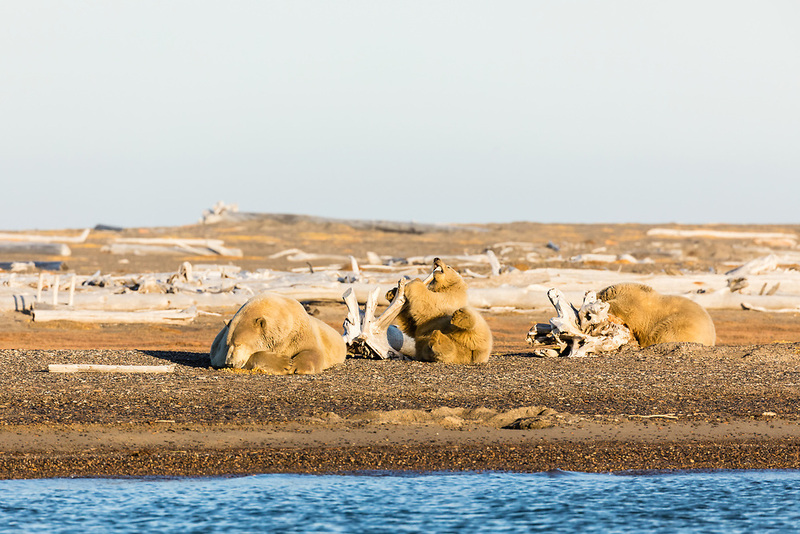 Sow polar bear (Ursus maritimus) and cubs resting on spit along Beaufort Sea on Barter Island in Kaktovik, Alaska. Autumn. Afternoon.